Winning the World One Yuan at a Time? This chapter quantifies how Beijing wields its official finance abroad to advance its national interests and discusses the implications for recipient countries, the United States, and U.S. allies. China’s opaque official finance fuels a narrative that the country is a rogue donor that partners with corrupt regimes, entices countries to borrow beyond their capacity, and extracts security or economic concessions from recipient governments. Leaders in capital-hungry economies counter that China is one of the few partners willing to finance infrastructure projects. 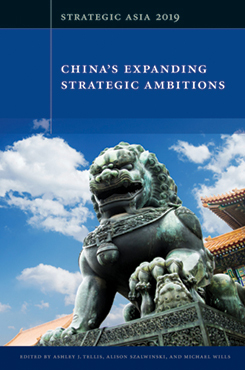 This chapter argues that Chinese official finance has evolved in four phases driven by both economic and geostrategic interests. Some evidence suggests that Beijing’s efforts are paying off in more favorable popular perceptions in recipient countries, inroads with foreign leaders, and discrete economic and security concessions. However, Beijing’s “power of the purse” does not always garner influence in the ways that might be expected and even provokes backlash under specific conditions. If China continues to deploy its vast foreign currency reserves to invest in infrastructure around the world, then it will likely further consolidate its influence with foreign leaders and citizens. If China demonstrates that it can follow through on its financial promises and mitigate negative local spillovers from its projects, it will be difficult for other countries to usurp China’s clout. If the U.S. and other Western powers were to choose to increase the supply of capital for infrastructure projects on more generous terms, China’s dominance as the lender of choice could be mitigated or displaced. Samantha Custer is Director of Policy Analysis at AidData, a research lab at the College of William & Mary. Michael J. Tierney is the George and Mary Hylton Professor of Government and International Relations at the College of William & Mary.